Professional Physical Therapy was founded by Athletic Trainers who understand how to provide the highest quality athletic training services for athletes. 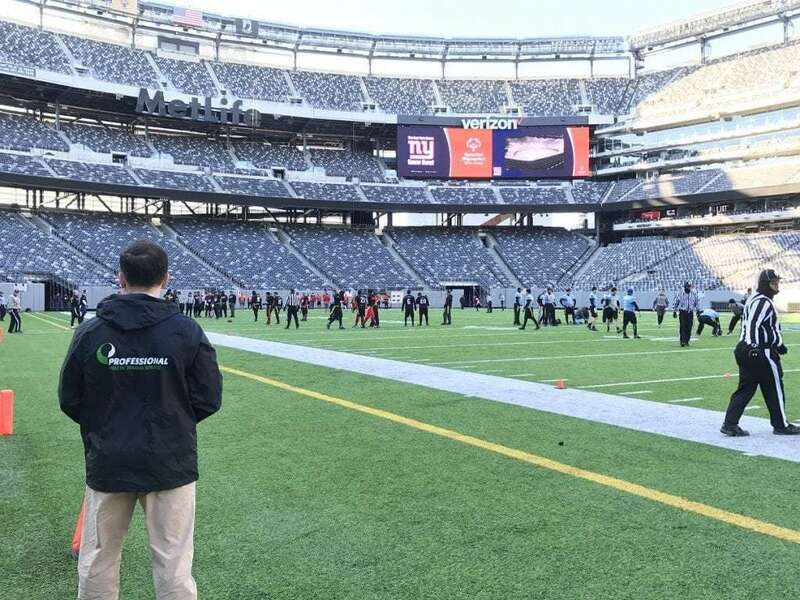 With multiple ATs on staff, Professional’s Sports Medicine Department has the largest team in the New York Metro area, serving schools in Westchester, Long Island, New York City, New Jersey, Massachusetts, and New Hampshire, as well as per diem coverage for more than 2000 events each year. As licensed healthcare professionals, all ATs require a Bachelor’s degree at minimum, as well as appropriate certification. More than 70 percent of ATs at Professional hold at least a Master’s degree, and all are certified by the National Athletic Trainers’ Association (NATA), the national Board of Certification (BOC), licensed by New York State and/or New Jersey, and CPR certified. To learn more about what Professional Athletic Training Services can do for you and your Athletic Program, contact Angelo Marsella, Professional’s Director of Sports Medicine at amarsella@professionalpt.com. Our athletic trainers and sports medicine specialists will asses your group and customize a plan just for you. We will work in an effective way to increase performance and reduce injuries for your sports teams. Our physical therapy clinics are located throughout New York, New Jersey, Connecticut, Massachusetts, and New Hampshire. Fill out the form above, or contact a clinic near you to speak with a Professional Physical Therapist today.